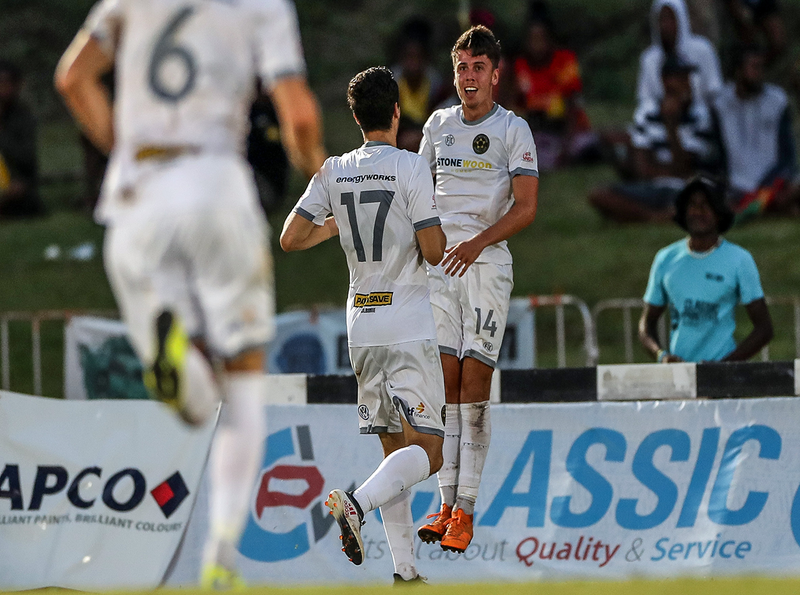 Solomon Islands hopefuls Henderson Eels are determined to halt Team Wellington’s OFC Champions League title defence when the two teams face each other in Sunday’s one-off quarter final clash at Dave Farrington Park in the New Zealand capital. On paper the New Zealanders, who have reached four consecutive OFC Champions League finals, look to have the upper hand over the visitors competing in their first ever continental tournament. Henderson qualified for the knockout stage as runners-up in Group B behind AS Central Sport from Tahiti, while Team Wellington stormed into the last eight after bossing Group C scoring 18 times without conceding to notch up three wins from three matches. Despite their dominant campaign to date, coach Jose Figueira is adamant his side is wary of the threat posed by the Solomon Islanders. “It’s a team that deserves to be in the quarter-finals after qualifying from a very good Solomon Islands league and negotiating a very tough group in the Champions League that included Central Sport and last year’s finalists Lautoka, so we won’t underestimate them by any means,” said the Team Wellington coach. Henderson Eels coach Eddie Marahare says his troops have arrived in New Zealand well prepared and full of self belief. “Following the Group Stage we intensified our training sessions to prepare for this tough challenge and after six weeks of preparations we are feeling full of confidence. “Wellington are the defending champions and at home they will be favourites, but we are not here to make up the numbers, it’s a one off match and anything can happen in football, we have the ability to frustrate them,” said Marahare. Team Wellington had a disappointing end to their domestic season missing out on qualification for next year’s OFC Champions League but Figueira is hoping his players will be able to finish their international campaign on a high note. “In football anything can happen as we have learned over the last two weeks of our domestic competition when we defeated an unbeaten Auckland City side in the semi-final before losing the final to Eastern Suburbs,” he said. “It’s a valuable lesson and a wake-up call ahead of our knock-out match against Henderson. “We feel that we are well prepared for the match, we are fully focussed on this challenge, with the conclusion of the New Zealand season we have shifted all our attention to this match, which will require a few adjustments from us in order to deal with a different style of play from what we are used to on the domestic front,” explained the Team Wellington coach. “We are very excited about this quarter final,we have plenty of experience on the Oceania stage and we are well equipped to deal with whatever thrown at us. “After the Club World Cup last December, when we came so close to creating history, we are all inspired to get back on the global stage and we will use that as a huge motivating factor in our title defence,” stated Figueira. Meanwhile his Solomon Islands counterpart says his team will go into the match with a clear game plan. “We anticipate that they will have the majority of the ball and territorial possession but we have worked very hard on our defence in order to defuse their attacking threat and hopefully catch them on the counter. “We don’t underestimate the challenge ahead but at the same time we are excited and confident, you have to beat the best if you want to win the title and we remain optimistic about our chances,” added Marahare. According to the Team Wellington coach the key to victory for his side is to focus on themselves. “The important thing is to stay fully focused and stick to our values, we had a good week preparing, the mood is good in the camp, we are excited and determined to perform in front of our home crowd,” said Figueira.